We have over 33 years experience in the shipping industry and can offer an exemplary service in the consolidation and distribution of ships spares, chemicals, paint etc. to vessels all around the UK and Ireland. 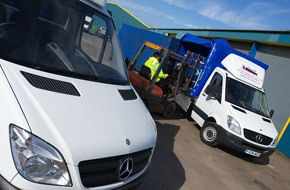 We operate from our own warehouse, which is equipped to handle all types of cargo. We have pallet racking with the capacity to store over 400 pallets for order picking. It is available for short or long-term periods and includes order-picking and consolidation facilities as required. We have on site, Two Toyota 2.5 ton and One Toyota 3 ton forklift trucks container/stuffers with fully qualified drivers. 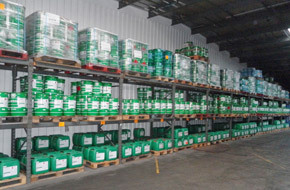 The facility is fully protected with security fencing, so outside storage is also available. The overall area of the warehouse and trailer parking facilities stretch over a 3 acre site. The warehouse covers 10,000 square feet. 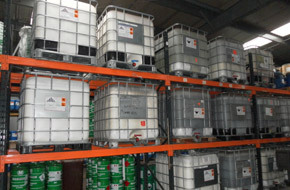 We can provide storage of hazardous and non hazardous chemicals. 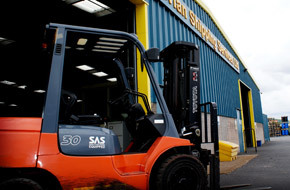 We have a host of handling equipment ranging from pallet trucks to drum clamps.